A Coconut Cake From Emily Dickinson: Reclusive Poet, Passionate Baker : The Salt Emily Dickinson discussed baking in many of her letters — evincing both her trademark wit and a zest for life that belies the common image of her as a depressed figure. Nelly Lambert is a PhD student in English at Catholic University. She's writing her dissertation on Emily Dickinson's poetry. Poet Emily Dickinson withdrew from society for most of her adult life. And yet, she was known to lower a basket full of cakes from the window of the home she rarely left to crowds of expectant children on the street below. Dickinson probably never met these children, yet she connected with them through her baking. I'm a Dickinson scholar, but even I was surprised to learn just how prominent a role baking played in her life — something that became evident during my summer visit to the Dickinson Archives in her hometown of Amherst, Mass. We know she baked at least a dozen different items, and we have recipes for at least five. When I returned from Amherst, I decided to try them. Each of Dickinson's cakes is satisfying, but her coconut cake, perhaps because it has a layered taste and perhaps because it is both substantial and light at the same time, reminds me of the combination of whimsy and gravity in her poems. In fact, many of her poems refer to cooking in some way. Dickinson critic Vivian Pollak has done the math: "In all, slightly more than 10 percent of Dickinson's poems employ images of food and drink," she writes. In the case of Dickinson's coconut cake, the recipe seems to have inspired a poem. 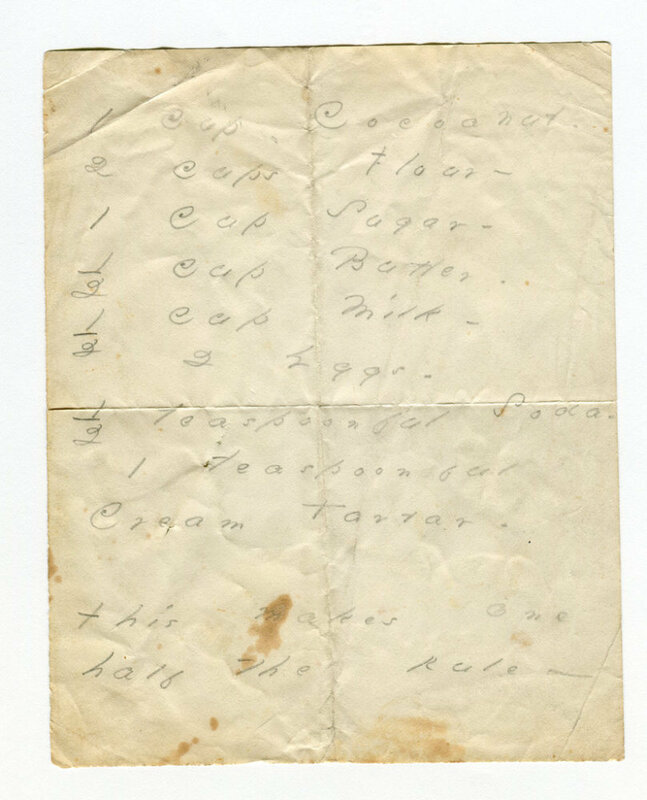 Dickinson wrote out verses on the back of the directions she received for "Cocoa Nut Cake" in a letter from a friend. The poem in question describes blending exotic experiences with familiar ones — just as this cake blends tropical coconut with cream that likely came from a New England cow. Home mixes with adventure; or, as Dickinson puts it in one poem: "Joys – like Men – may sometimes make a Journey -/ And still abide." Several decades after Dickinson died, the Amherst Historical Society received a letter from Margaret Bradlee, a former acquaintance of the Dickinson family who wanted to donate Emily's famous coconut-white, many-paneled dress to the museum. Like a passed-along recipe, the dress had somehow ended up in Bradlee's possession. Bradlee recalled visiting Dickinson's home in Amherst and being served the coconut cake — she found it a bit "rich" for her taste. 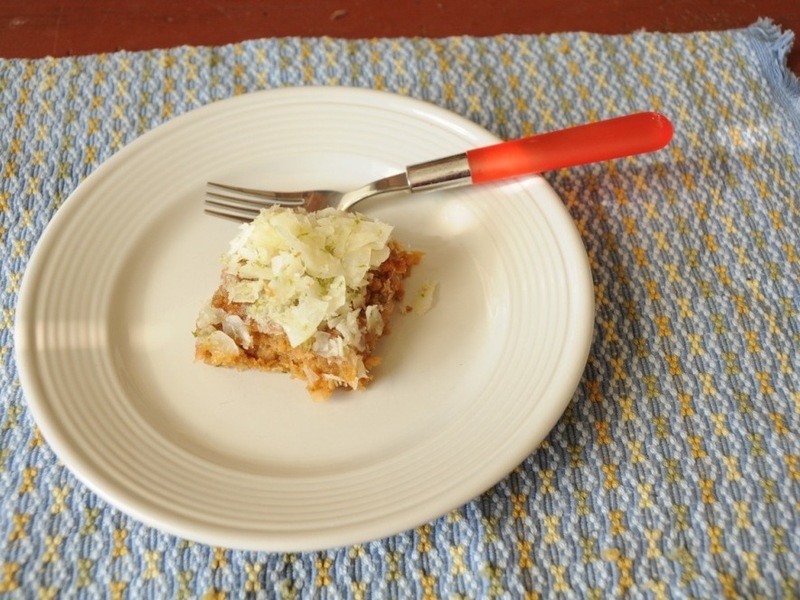 A slice of Emily Dickinson's coconut cake, adapted for the 21st century. Emily Dickinson's coconut cake is not an airy treat, but it is quick to make — just as Dickinson's tightly packed poems are quick to read, though rich in their own right. Dickinson's cakes were often gifts intended to please recipients, whoever they might be. Since several of my friends have food allergies, endeavoring to please them, I made an everything-free version of the cake (no gluten, dairy or fast sugar). I took liberties with Dickinson's original ingredients — the poet herself seemed partial to the creativity of baking, not the rules. "Spices fly/ In the Receipt" are the closing lines of one of Dickinson's poems about food. In other words, ingredients are expressive. Dickinson wrote 1,800 poems; fewer than 15 were published during her lifetime. 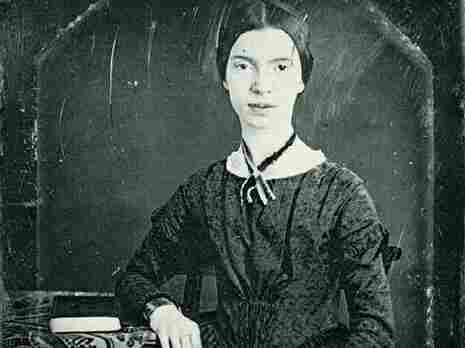 As scholar Judith Farr points out, "When a census in 1870 listed Emily Dickinson's occupation, it used the phrase employed for dependent daughters: 'Without Occupation.'" Still, the people of Amherst would have known that baking kept Emily Dickinson unofficially occupied. After all, they were the beneficiaries. In her obituary of the poet, Dickinson's sister-in-law Sue wrote, "Very few in the village ... know Miss Emily personally ... [And yet] there are many houses among all classes into which her treasures of fruit and flowers and ambrosial dishes for the sick and well were constantly sent." 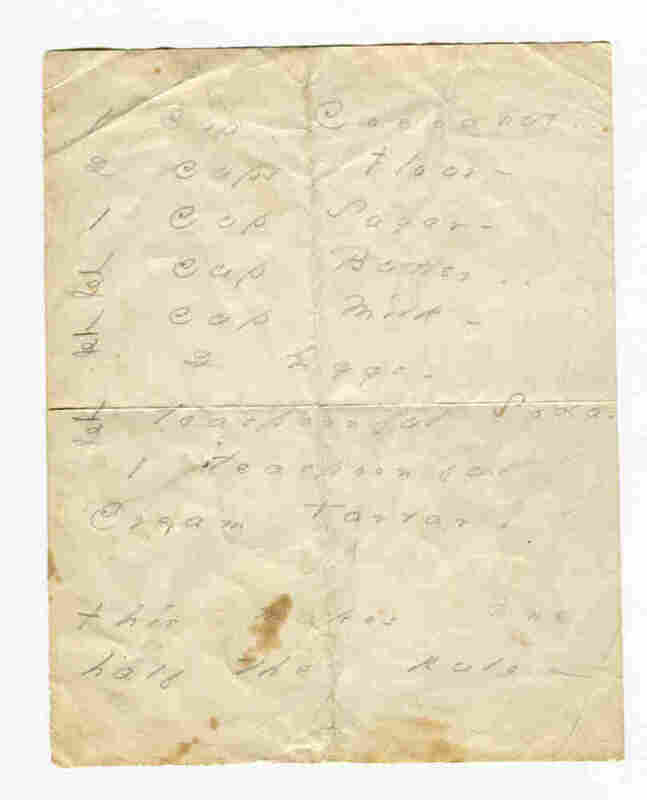 The Poets House in New York City is exhibiting this manuscript of an Emily Dickinson cake recipe that calls for coconut. This week, the Poet's House in New York City put on exhibit an original manuscript of a Dickinson cake recipe that contained coconut. That recipe calls for the following ingredients. Either, or both, could be Dickinson's "original" recipe for coconut cake. Neither recipe included directions, just the list of ingredients.